Most writers are not considered tech geniuses. In fact, many of the most prominent and well-known authors in modern society still capture words on typewriters. Blogging has developed a whole new type of writer and eBooks have created a whole new type of industry. With hard copies collecting dust on bookstore shelves, traditional writers and bloggers alike are looking for a more efficient way to present their work. Through the use of a few simple applications you’ll be able to digitize your writing and open the door into a new style of organization, storyboard creation, and book marketing. If you’re interested in writing your first book, opening new horizons for your current book, or need to organize your various writing works, look no further. Celtx is one of the best kept secrets in the screenwriting community of the entertainment business. Many fancy production schools require you to buy $500.00 screenwriting software products, one of them being the famous Final Draft Pro. But the truth is that Celtx provides many of the same features and gets the job done for amateur writers or screenplay writers looking to quickly draft a script. The best part about it – it’s completely free and will help you better understand the proper way to write a screenplay. Everyone needs an editor, but they can be so darn expensive. With all of the technology available today, you may be able to conduct your own editing process. Hemingway is a web application that highlights problems in your writing, particularly hard to read sentences, adverbs, or complex phrases. This application is great for writers who like to write in-depth sentences (that may be grammatically correct) but sometimes confuse the reader by extending thoughts too long. Match this app with your traditional spell-check and another app called Phraseology and you’ll be on your way to creating best-seller material. Creating a cohesive story and mapping out your ideas are two of the most important planning steps in the writing process. In addition, after planning, implementing your thoughts while keeping the flow of the story intact is what separates the good writers from the great ones. Using an application like WiseMapping is crucial for brainstorming and problem-solving issues in your potential work. I would recommend this application matched with an application like storybook. I personally used this internet application when writing my first novel and it was a game changer – think Evernote for fiction writers. Getting started on any fictional or non-fictional work is always difficult and requires brainstorming, as well as piecing future parts together. Bubbl.us makes it easy to express ideas and thoughts through color coordination and hyperlinks to resource material. The site is free to use as well, making it one of the best tools on this list. All of your writing is stored on the cloud and your references are retrievable for as long as the source website exists. 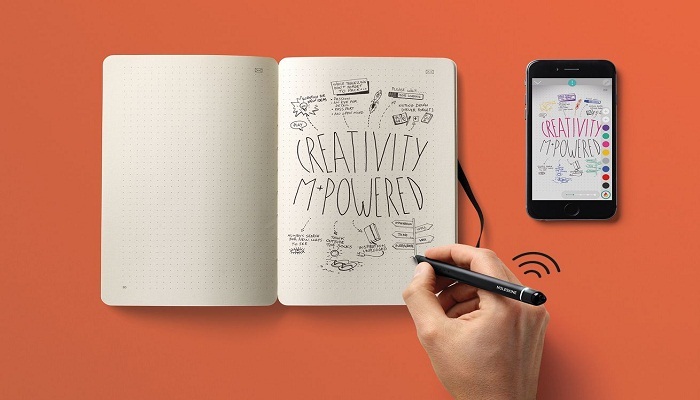 Do you always have a great idea or thought but never have access to a pen? Write 2 Lite is the best application on this list for thought capturing. The application is mobile and acts as a specialized notebook for your thoughts so you may reference them when you’re in a front of a laptop. This piece of software will definitely help you when you’re struggling to remember an important character or source. This application is only available for the iPhone, but if you’re looking for something comparable on the Android platform, I would recommend Writer.